1. Is your roof more than one layer? If so, know that some insurance companies will put the age of your roof at the age of that bottom layer. This can affect what is covered. If that bottom layer is over 10 years old, your roof may not be covered. When purchasing a house, having a qualified roofer or qualified home inspection company examine your prospective purchase is a good idea. 2. Old age is not covered by insurance, only damage. Your roof may need roof repair or replacement, but unless damage has occurred, the insurance company will not cover this. 3. You need to be aware, that if it is decided that you did not properly maintain your roof, even the damage may not be covered. 4. Cedar shakes may be what you would like, but your insurance company may not cover the use of such materials, no matter how great they will look. They may even have specific roofing materials listed in your policy. Review this information with your contractor and they will guide you in the right direction. Were you aware that our beautiful city has the reputation for being the sunniest location on the planet? Of course, this is only from July to September. The month of July averages 14 hours of sunshine each day. But, Sacramento is also known for its heavy fog, and specifically the Tule Fog occurring especially during December and January. What does this have to do with roof repair and insurance issues, you ask? Mold and water damage cause roof deterioration. If the insurance company feels that you did not properly maintain your roof by trying to deal with the mold and water issues, you may be the one paying for the roof repair damage. Having a certified roofing contractor do any roof repairs, roof replacements, and possibly regular maintenance on your roof, and keep full documentation of their work, is in your favor when approaching an insurance company. Knowing the contractor will ‘go to bat’ for you with the insurance company removes a great deal of effort and stress from you. They know the terminology and the process that must be followed in these circumstances. The professionals at Straight Line Roofing are fully aware and knowledgeable about roofs and insurance issues and will help walk you through the process. 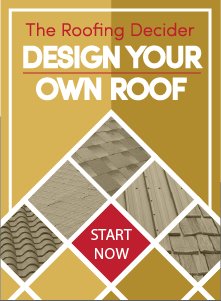 Contact Straight Line Roofing for any of your roofing or insurance questions.